Do you ever have days when you get hit with a strong, negative energy that throws your day off balance? These feelings can include distress, insecurity, or a constant feeling that something is wrong. You will probably dismiss this as “one of those days,” but you may be a victim of a psychic attack. Psychic attacks result from an individual holding negative feelings towards another person. These harmful thoughts are sent – consciously or unconsciously – to that person resulting in unpleasant symptoms, which include pain, fear, fatigue, among other feelings we’ll cover later. In this guide, we will cover all aspects of a psychic attack including what the symptoms are and ways to protect yourself from one. 1 What Is A Psychic Attack? 3 Why Would Someone Psychically Attack You? Negative energy sent to an individual to inflict harm is known as a psychic attack. We are talking about causing damage to the physical, emotional, spiritual, or mental state of the person. Conscious attacks – These are often compared to black magic or witchcraft. This happens when a person deliberately wants to harm another. This bullying behavior can bring the victim with serious consequences. Fortunately, there are ways to block or reduce these effects. Unconscious attacks – These negative energies are sent without the attacker intending to inflict harm on the victim. Normally wear off with some time after the attacker cools down. However, if things don’t get better there are some ways to clear these negative energies. Psychic attacks will usually wear off over time when the attacker calms down and shifts their attention, however, sometimes this isn’t the case. As soon as you recognize you’re a victim of an attack take the appropriate measures to counter the effects before they become any worse. These are all good signs that you or someone in your family is being the victim of a psychic attack. 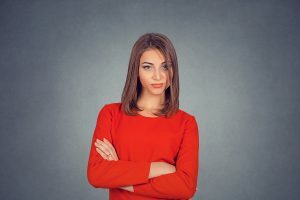 Luckily, there are some ways to protect yourself from this harm, but first, you must understand why someone is trying to attack you psychically. Why Would Someone Psychically Attack You? The reason behind someone’s psychic attack can vary. Most of the time these negative energies are sent in the form of thoughts. They may be a result of jealousy, anger, envy, among other negative emotions. While there is no evidence that proves someone can launch a psychic attack against another person, having negative thoughts toward others can damage the effects on these targets. The attacker is jealous of you for one reason or another. Perhaps your life is progressing while there’s isn’t or there is something that happened in the past that they haven’t let go. It could also be the attacker is envious of your career, looks, or life partner. The attacker is going through an unpleasant, dark period now or living in fear. Unfortunately, these negative feelings towards you are out of your control unless you intentionally did something to create this situation. Remember, that the universal law of karma states that whatever harm you cause on someone will come back around to you, multiplied. So, you’re getting that strange feeling that somethings off and you think it’s a psychic attack. You want to be sure you’re protected from such attack by doing a few things. Don’t wait until the symptoms get out of hand to the point that they’re affecting your daily life. The first step is to recognize that you are the victim of a psychic attack. Becoming aware through identification of the strange events taking place in your life will help diminish the effect of the attack. Not only this but acknowledging that this is just an energy will make it easier to establish your personal power. Moreover, consider the timing of these attacks. Most times, they happen when the victim is vulnerable or exposed. Perhaps they are starting a new chapter in their life and have stepped out of their comfort zone. These situations make it more likely to be attacked. There are a few ways to clear your energy. Spirit guides, for instance, will be able to help you get through, stop, or protect yourself from the attack. 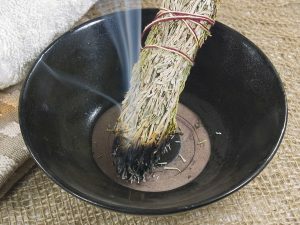 There are some rituals like smudging you can perform to cleanse yourself and your home if this is something you wish to do. Sage, for instance, is an herb that is used beyond culinary purposes. A sage smudging ritual will cleanse your space, getting rid of negative energy and bring positive vibes forward. Diffuse the smell throughout your workspace and home to rid the area of any dark energies. We mentioned earlier that individuals are most vulnerable to an attack when they are starting a new chapter in their life. For this reason, it’s a good idea to perform some of these rituals when starting a new job, moving into a new living space, or at the start of a fresh relationship. If you are sure you’re under a psychic attack the worst thing you can do is mimic the behaviors of your attacker. Mirroring their actions will only send similar energies back to them making the situation worse. Remember that the person doing this to you is the weaker one. Instead of returning these thoughts of hate or anger, feel compassion for them and send positive energy. This may be the best way to heal the attacker’s darkness. All in all, thinking happy things throughout the day will naturally repel the darker energies being sent to you by your attacker. Focus on special, joyful moments or watch a comedy – whatever it takes to find a happy state and enjoy yourself. If you’re the victim of a psychic attack stay strong. Being emotionally stable is important to protect yourself against the effect of an attack. If these negative symptoms don’t go away consider going to your spirit guides for help or consulting a physician. If you or someone you know has been showing signs or symptoms discussed in this article, we encourage you to try some of the tips mentioned here. Remember to stay positive, be aware, and don’t succumb to your attacker! This tip is for rooms and spaces that heighten your sense of anxiety and fear. Generally, rooms where you constantly experience psychic attacks are also the same rooms which harbor negative energies, constantly reminding you of unpleasant experiences and memories. You can reclaim this space by rearranging your room or creating any kind of visual change so that you end up feeling a different energy.